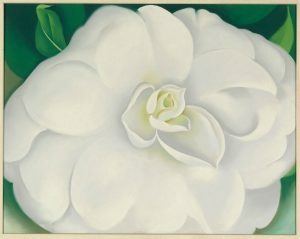 Georgia O’Keeffe (American, 1887 – 1986), A White Camellia, 1938, pastel on board, 21½ x 27 ½ inches. No two art collectors are the same. Each one has different aims, passions and enthusiasms. We offer a bespoke service, tailored specifically around each individual client. In an increasingly complex and international market-place, we give our collectors the ability to monitor and reach every corner of the market. We give professional advisers and family officers who may find themselves in a fiduciary position the comfort of knowing that their principals have access to a source of impartial and expert advice. On a strategic level, we help our clients plan their collecting according to their tastes, enthusiasms or other goals. We will advise in detail on current critical and commercial trends. We often arrange visits for our clients to museums, private collections and artists’ studios to help our clients make the most informed decisions about their collecting policy. We are our clients’ eyes and ears in the market place. We advise upon the quality, pricing, authenticity, condition and past history of any work of art which our client may be considering for purchase. As well as seeking out possible acquisitions at auction and with commercial galleries, we use our years of art market experience to give our clients access to private collections and to works which may not be publicly available for sale.